THEODORE M. BAYLESS, M.D. ; JOHN H. YARDLEY, M.D. ; THOMAS R. HENDRIX, M.D. Adult celiac disease (nontropical sprue or idiopathic steatorrhea) is manifested clinically by steatorrhea and deficiencies produced by intestinal malabsorption. Diarrhea and weight loss are often prominent symptoms. Celiac disease in childhood is probably the same disorder. In 1950, Dicke1 reported clinical improvement in childhood celiac disease when wheat and rye flour were removed from the diet. Further studies2 have shown that wheat, rye, barley, and oat gluten contain an offending agent. 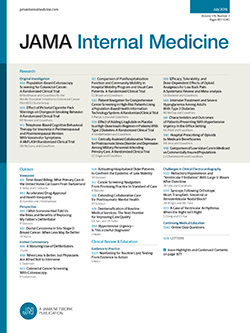 Subsequently, the efficacy of the gluten-free diet in the treatment of celiac disease has been confirmed in adults3-5 as well as in children.6,7 Clinical remissions are reported in 80%8 to 93% of adult patients.9 Some patients, although clinically improved, have residual evidence of abnormal intestinal function. Green et al.10 in 1959 described 10 patients in clinical remission on a gluten-free diet, who had persistent steatorrhea by chemical determination.